If you need expensive dental work and don’t have dental insurance or enough cash to pay upfront, a dental loan you could be the answer you’re looking for. With a dental loan, you could borrow the money required to cover important dental work then make monthly payments until the amount you owe is paid off. 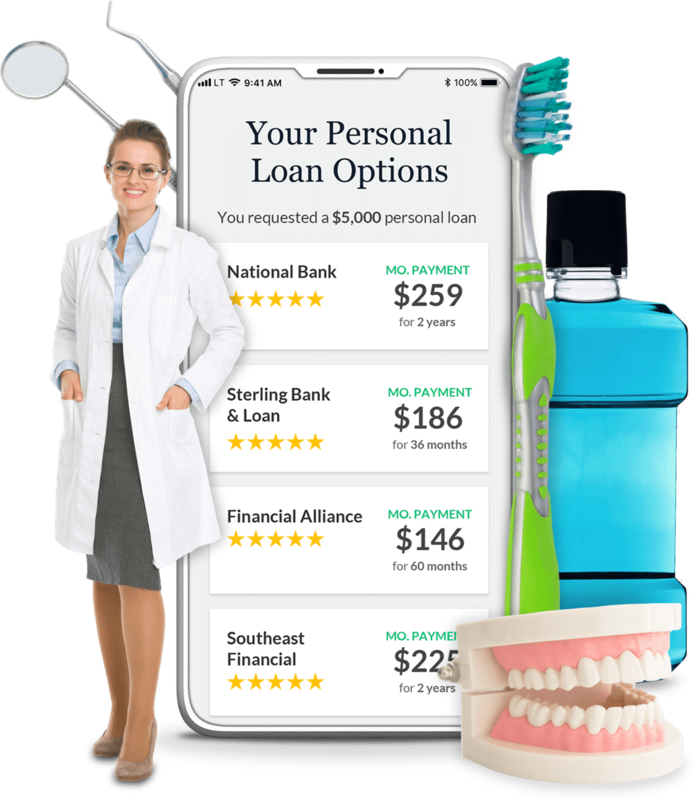 Since dental loans are really just personal loans, they work just like a personal loan you might take out for another purpose, such as remodeling your kitchen or consolidating debt. Generally speaking, personal loans come with a fixed interest rate and fixed monthly payments for a predetermined length of time. Interest rates may start as low as 3.24% APR and surge all the way up to 35.99%, with the best rates going to individuals with very good or excellent credit, or a FICO score of 740 or higher. While some personal loan lenders let consumers borrow up to $35,000 for dental care or other purposes, other lenders may let you borrow even more. When can a dental loan help? At this point, you may be wondering why on earth anyone would need to borrow tens of thousands of dollars to pay for dental care. How did visiting the dentist get so expensive? The reality is, dental care isn’t cheap. 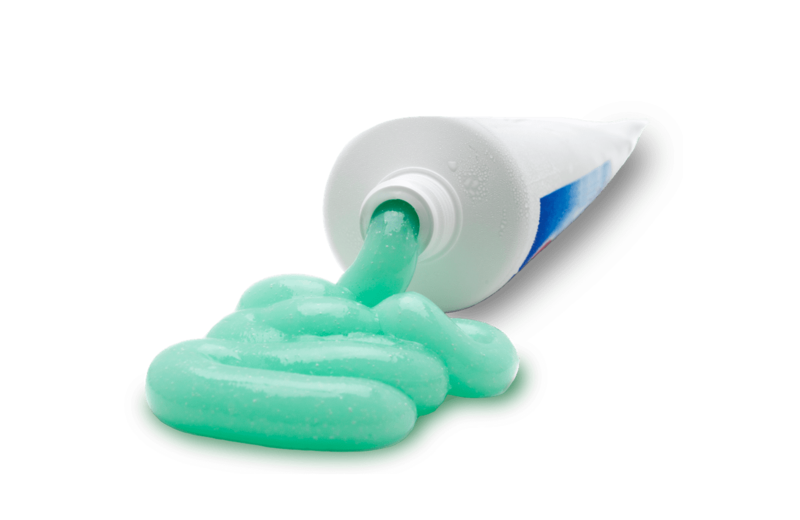 While paying for regular cleanings may not break the bank, complex dental procedures tend to cost a pretty penny. And yes, they may even cost thousands of dollars – or even tens of thousands of dollars. Furthermore, many people may find they have a high deductible with their dental plan, meaning they have to pay out-of-pocket up to a certain amount until their insurance coverage kicks in. Here’s an example of how your bills could start racking up quickly. 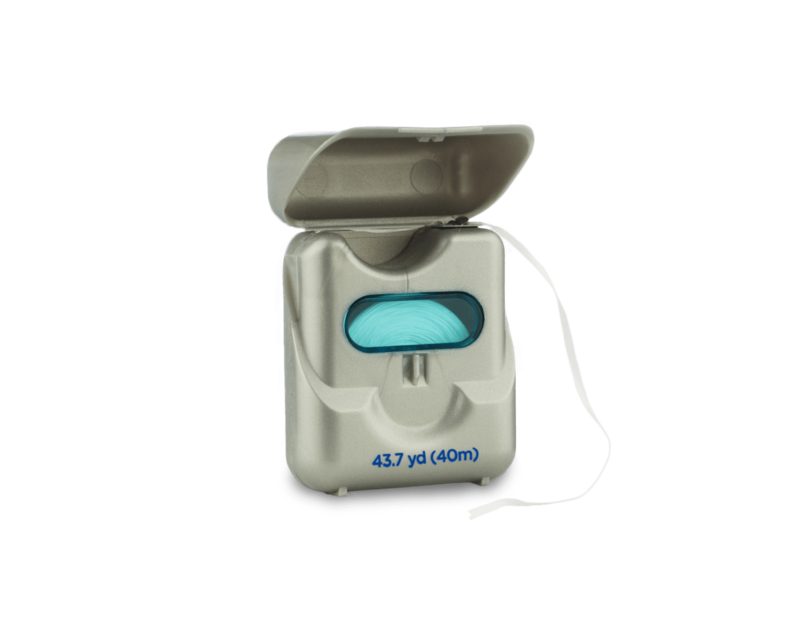 Imagine you live in the New York City (zip code 10014) and have acute and sudden dental pain. An emergency visit to the dentist would cost an average of $390 to $625 for the visit, X-rays, and pain relief. But remember, that visit only pays for the diagnosis of your pain — not to actually fix your issue. If you needed a crown, for example, you should expect to pay $2,000 to $2,900. A surgical extraction, on the other hand, would set you back $550 to $800. Let’s say your pain was caused by a few unruly and overcrowded wisdom teeth. If you needed to have them extracted, you could be on the hook for $750 to $1,050 per tooth. With costs like these on the horizon, it’s no wonder so many people need financing to help with the most expensive components of their dental care. Instead of draining their savings accounts or destroying their monthly budget, consumers can borrow the money they need and set up monthly payments they can live with. Dental loans or credit cards? While dental loans might seem like an obvious solution to any dental financing crisis, you may be wondering why you shouldn’t just use your credit card. After all, charging your dental expenses could be as simple as swiping your card at the dentist’s office on the way out. Why bother getting a dental loan when you can just use plastic then pay off your balance when you get time? The truth is, there are advantages to using both dental loans or credit cards to cover expensive dental care. The best option won’t be the same for everyone since it depends on a wide range of factors. One easy way to tell if a dental loan is a better deal is if the interest rate is lower. If the interest rate on your credit card is higher than what you would pay on a dental loan, then skip credit cards all together, he says. To find out whether you can get a lower interest rate on a personal loan, you can apply for a free quote online and compare the rates you qualify for to the APR offered on your credit card. At LendingTree, for example, we have a online form you can use to potentially compare offers from several lenders at once. In addition to interest rates, many consumers prefer the fixed monthly payments of personal loans versus the unpredictable payments of credit cards. Not only may your credit card’s interest rate be variable, but your balance and monthly payments can surge if you continue using your credit card for purchases. According to Brian Hanks, a financial adviser for dentists and the author of “How to Buy a Dental Practice”, a credit card can be a good option when the procedure is an absolute emergency and you don’t have time to apply for a dental loan ahead of time. In addition, credit cards can be a good option if you score a special financing deal, like a card with a 0% intro APR. “If you know you can pay 0% on a credit card balance for a period of time, and you know you’ll be able to pay for your dental procedure, go ahead and put it on the card,” said Hanks. Last but not least, it can make sense to use a credit card if you have the cash to pay your entire bill but want to use credit to earn rewards. By putting your dental expenses on a cash-back credit card and paying your bill off right away, you could earn an average of 1-2% cash back on your total bill, which could add up quickly if you’re spending a lot. In addition to dental loans and credit cards, consumers can also consider using a medical credit card or financing program. One of the most common medical and dental financing programs is CareCredit. Our subsidiary, MagnifyMoney.com, has an extensive review of CareCredit which you can check out here. If you don’t pay your entire bill off, however, “interest is charged from the original purchase date.” So, if you borrowed $5,000 to cover dental work with an 18-month repayment plan and paid off all but $500 by the time 18 months flew by, you would owe deferred interest on the entire $5,000 balance from the day you borrowed the money. Furthermore, not all dentists allow patients to access this option or pay with CareCredit, says Hanks. And if your dentist doesn’t accept CareCredit, using it is off the table. A final reason to consider a personal loan instead of a medical credit card or financing plan is because medical cards like CareCredit only let you use funds for medical expenses, whereas personal loans can be used however you wish. If you wanted to borrow money to cover dental expenses and have money left over to cover other bills, a personal loan is probably your best bet. A traditional bank or credit union. If you have a good relationship with a bank or credit union, you could consider using them for a personal loan. Typically, you would do this by visiting a branch in person. Getting a personal loan through your bank or credit union is a smart idea if your relationship helps you qualify for a lower interest rate or better loan terms. Peer-to-peer lenders. Peer-to-peer lenders like Lending Club and Prosper offer personal loans for up to $35,000 to $40,000. The difference is, these loans are crowdfunded by investors instead of banks. These loans can be a good deal if you get a lower interest rate than you can find elsewhere. Online lenders. One of the best ways to find the ideal dental loan is to shop around among online lenders. Because you can often get several competing offers in one place, choosing an online lender makes it easier to compare more than one offer. No matter which path you take toward a personal loan, Hanks suggests an important strategy to make sure you’re getting the best deal: shopping around. Get several quotes then take the time to compare interest rates, fees, and loan terms. Of course, any talk about loans must include a discussion of your credit score. If your credit score is not that great, you may not qualify for the best interest rates and loan terms. According to myFICO.com, the best interest rates typically go to those with at least very good credit — or those with FICO scores of 740 or higher. If your credit score is “good,” or in the 670 to 739 range, you may also qualify for the best rates, although it’s not guaranteed. If you’re unsure how your credit score looks, you can get a free estimate of your credit score at LendingTree. You can also get a free copy of your actual credit report from the three credit reporting agencies — Experian, Equifax, and TransUnion — once per year at AnnualCreditReport.com. Once you have a copy of your credit report, you can check it for errors and inconsistencies. If you find any incorrect details or negative marks on your credit report that shouldn’t be there, you can follow the formal process to have them removed. Once you find out how your credit score looks, you may also want to take steps to improve your credit before applying for a personal loan. Generally speaking, paying all your bills on time, paying down debt to lower your credit utilization, and refraining from opening or closing accounts are some of the best ways to improve your credit score in the short term. “Always negotiate care costs and see if you can get a discount for paying cash,” said Brein. And, believe it or not, you are considered a cash buyer if you pay in cash – even if you borrowed the money with a personal loan. The less you have to pay for dental care, the less you can borrow and the faster you can pay it off. If you’re considering expensive dental work done but could choose an alternative treatment method, make sure to get a second opinion, says Hanks. “Dentistry has an element of art and judgement, and some dentists are more aggressive than others,” he said. As mentioned already, the total costs of a dental loan can vary by lender. Make sure to compare loans in terms of their interest rate, repayment terms, and fees, says Hanks. A flexible spending account (FSA) is an employer-sponsored savings account you can use for medical or dental expenses. These accounts let you set aside pretax funds to pay for medical expenses, with the agreement that you “use it or lose it” if you don’t tap out your funds by the end of the calendar year. If you have money in a FSA account or can contribute to one, using the savings for dental expenses could be a smart move. In 2018, you can contribute up to $2,650 to a FSA, up from the 2017’s limit of $2,600. A Health Savings Account (HSA) is a tax-advantaged account that lets people save pretax dollars for qualified medical and dental expenses. If you have a high-deductible health insurance plan, you can contribute up to $3,450 for individuals and $6,900 for families to this plan in 2018. Better yet, you can deduct your contribution amount directly from your taxable income. Using these funds for dental expenses lets you lower your taxable income and pay for dental care with pretax dollars. Hanks notes that many dentists set their own rates and may be willing to negotiate in-house financing plans with clients. You may be able to pay monthly payments directly to your dentist and avoid loans and finance charges all together, for instance. Make sure to ask your dental professional to see if this option is available.